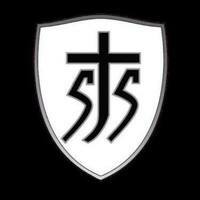 The Saint Jerome Catholic Youth Organization (CYO) operates as part of the St. Jerome Parish on behalf of its youth. Our purpose is to help foster, in our members, a greater awareness of their life within the parish and to help instill Christian values based on the Gospel. Saint Jerome CYO helps fulfill our mission of service to the youth of our parish by providing opportunities for the growth of our members through athletic, social, service, and above all, spiritual programs. The Office of Catholic Education and PA State requirements mandates that ALL CYO volunteers and coaches must be in full compliance with the Safe Environment Program requirements in order to work with our children. We depend on parent volunteers for our many CYO functions throughout the school year. Thank you for your help and cooperation in completing these requirements! We appreciate the time involved in these steps and look forward to seeing all of you at our CYO events. If you have any questions, please contact Roseann at the rectory 215-333-4461.